Buying a home is a common undertaking for many Americans, but it's also one of the most complicated — not to mention costly — purchases adults will ever make. It's important to understand these 10 essential terms so you're ready to make smart decisions with your money. Down payment: When you're buying a home and financing it with a mortgage, most lenders require you to put down a certain amount of cash upfront, usually 5% to 20% of the total price. Your mortgage covers the amount remaining after the down payment. Escrow: A neutral, third-party account that protects the money of both buyers and sellers until real estate transactions are finalized. For example, if you choose to make a deposit with an offer on a home, it would go into an escrow account first rather than directly to the seller. Once you've bought a home, escrow accounts are also typically used to hold money for homeowners insurance and property taxes until payment is due. Fixed-rate loan: A mortgage with an interest rate that won't change over the course of the loan. The rate may be higher than an ARM, but you'll never have to worry about it increasing. Adjustable-rate mortgage (ARM): A mortgage with an interest rate that can change over time. It typically has a low, fixed initial interest rate and then may adjust regularly either up or down depending on market conditions. It can't exceed a set rate cap. FHA loan: A mortgage offered through the Federal Housing Administration that has less strict credit and down payment requirements compared with conventional loans. It's ideal for people with less-than-stellar credit who aren't able to qualify for conventional financing. The tradeoff: Along with paying monthly mortgage insurance fees, you'll also pay a hefty upfront premium. 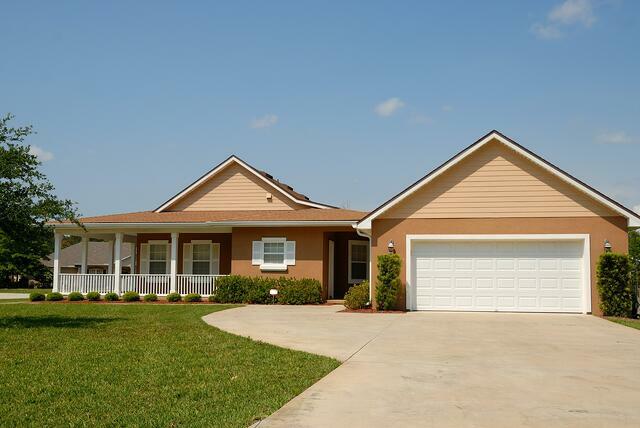 VA loan: Mortgages for qualified current or former members of the U.S. military. These typically offer more favorable interest rates and require low to no down payment. They're offered by financial institutions but backed by the Department of Veterans Affairs. Private mortgage insurance (PMI): If you don't put 20% of the home's price in a down payment, some lenders require this insurance to lessen their risk. It's typically paid with a monthly fee added to mortgage payments. You can often cancel it once you have a certain amount of equity in the home. Subscribe to our monthly eNewsletter and stay up-to-date!